Perhaps it was the proximity to Verona and its star-crossed lovers that made me sentimental. And perhaps, after a week travelling with two strong, talented women, I had become somewhat biased. 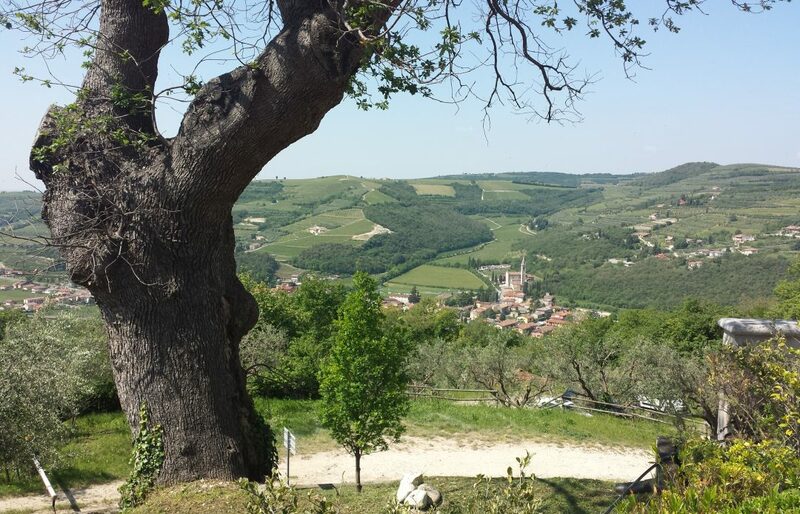 Whatever the reasons, the themes of enduring love and of trailblazing females seemed to define my time in Valpolicella. As I find myself in a story telling mood, I will recount the history of three of the estates visited this week. Don’t worry, a review of the wines and an overview of the regions will follow shortly (in part 5). Our first stop was an unassuming old villa, atop a pretty hillside with panoramic views of vineyards strewn with wild poppies. From the moment I shook hands with the wry, spirited Marinella Camerani, I knew I would like her. In short order she had rattled off a tale of rebellion and passion. Tired of working as a lowly accountant in the family car battery business, she left her father and brothers, and even husband, behind and moved to the country. Without a lick of experience in winemaking, she began working in the cellars and slowly learnt her trade. Small Italian towns in the 1970s were not particularly receptive to divorcées living alone and taking on men’s work. The first years were hard, but she persevered, eventually getting the capital together to buy her first vineyards. Today, Corte Sant’Alda is a thriving 40-hectare biodynamic estate consisting of vineyards, olive trees, pastures and forest. Marinella’s eyes shone with pride speaking about her wines, but she became positively radiant when discussing the love of her life. Cesar came to her village as an illegal Peruvian immigrant. Their union was not a welcome one to her already disapproving family, but she eventually won them over. The winery is named for their now 16-year-old daughter Alda. Beautiful purity is the watchword for the whole line up, from the well crafted, cherry scented Valpolicella through to the rich, concentrated Amarone. After retiring from neurosurgery at North Western University, Anthony Raimondi and his Colombian-born wife Lucia Duran decided to follow their dream and retire in Italy. They happened across the stately old villa in their travels and fell in love. 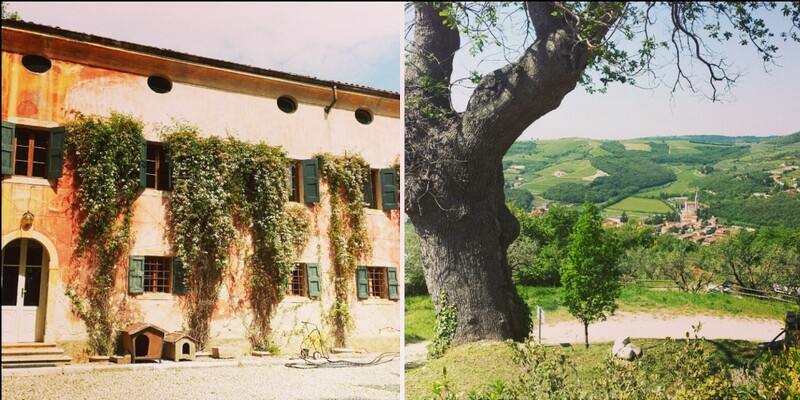 The estate came with a hectare of vines, so they decided to try their hand at winemaking. Initially they just wanted to supply their own cellar, but ambition got the better of them and the estate grew. Sadly, Anthony passed away not long after. Lucia found herself alone, in charge of a large property and a demanding enterprise. She considered closing up shop but after some soul searching, decided to roll up her sleeves and carry on. She moved into a small cottage on the property and transformed her home into a tastefully furnished, welcoming bed & breakfast*. 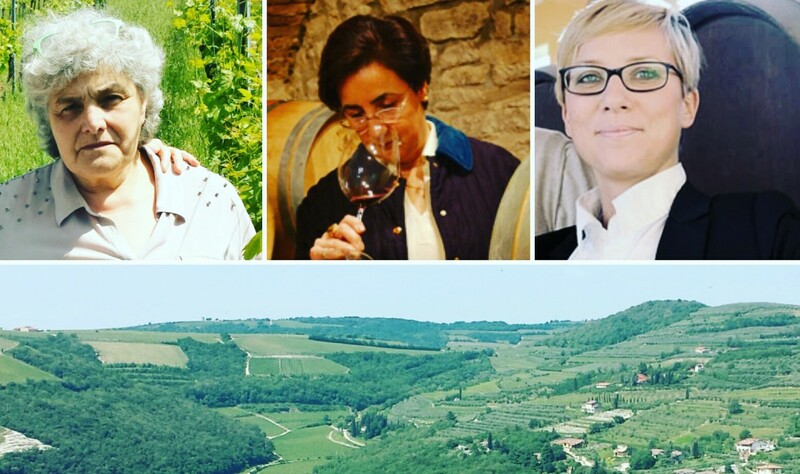 After a number of years growing her vineyard business alone, she recently found a business partner, Marco, to manage the vineyards and winemaking. Today, the estate makes 30 000 bottles, sold primarily in North America. We tasted the line up in Lucia’s lovely, heritage-classed gardens. The wines were a true reflection of the noble woman in front of us: elegant and refined. This last story is maybe a little less pertinent, since it is technically the story of a determined, strong-willed man. It was however, recounted over the course of a fabulous evening of Paverotti, antipastis and wine, by his equally tenacious daughter. Gianandrea Tinazzi was just 18 when his father, Eugenio, lost his job. The cantina where he worked went bankrupt. Tired of working for others, Eugenio decided he would set up his own operation and that his son would help. He started by buying small quantities of grapes, and vinifying them in a crude winery set-up in the garage. Gianandrea’s job was to drive around the holiday camping grounds surrounding Garda lake and sell the wine, returning with the empty bottles. Quickly realizing that they needed more than holidaymakers to grow, Gianandrea began selling in local restaurants, and then to national wholesalers. As the business continued to thrive, father and son began purchasing vineyards and looking for clients abroad. Without a word of German or a single business contact, Gianandrea drove all night and started the process of knocking on doors to present his little known wine. Fast forward to 2016, and a new generation of Tinazzi’s work at the family firm. Francesca studied economics in Milan and initially resisted the idea of joining her father and brother at the now flourishing 3-million bottle a year winery. But after 5 years away, the lure of the vineyards proved too great and she returned as financial director to oversee, if not quite, control Gianandrea’s ambition. The winery now consists of 100 hectares of vineyards in Bardolino, Valpolicella and Puglia, with additional grape contracts and brands out of Chianti, Abruzzo and Sicily. A heady, voluptous style defines Tinazzi’s line up of Veneto & Puglia wines.